What is the difference between Movement and Locomotion? What is the Movement of Cilia? It is defined as the ability of the body to move from one place to another. For Example: Walking, Moving, Jumping, Crawling, Propelling etc. Movement can be at organism level, tissue level as well as cell level. For Example: Cell moves from one place to another at the time of embryo formation. Whereas Locomotion is termed as movement of a body from one axis to another (or many) in terms of co-ordinates. It has to be noted that Movement of cell from one place to another cannot be considered as Locomotion. Movement, on one hand, can be voluntary or involuntary. Whereas Locomotion is always voluntary in nature. Movements that occur over some distance is known as Locomotor Movements. For Example: walking, running, etc. Locomotion always occur at the organism level. Locomotion involves locomotory organs that help the body to move from one place to another. Locomotion is always voluntary. Ciliary Movement occurs in internal organs that are lined by ciliated epithelium. For Example: movement of ova in oviduct. Amoeboid Movement occurs by streaming of the protoplasm as observed in amoeba. It occurs in macrophages and leucocytes (cells of the immune system). Muscular Movement occurs in humans that helps them to move. 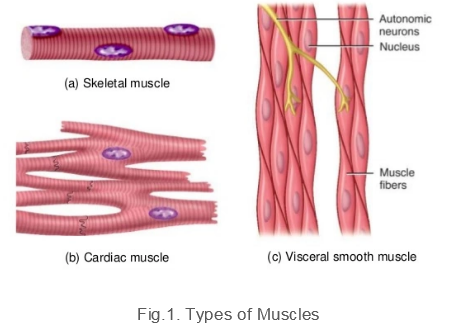 Skeletal Muscles appear striped/striations in the microscope. These are voluntary muscles as they are under the control of our will. They help in locomotion and changes in body postures. Cardiac Muscles are muscles associated with the heart. They help in rhythmic contraction and relaxation of the heart. They also appear striped/striations in the microscope similar to the skeletal muscles. Smooth Muscles are involuntary muscles and cannot be controlled by our will. They are present in lining of the alimentary canal, reproductive system etc. They do not exhibit characteristic stripes/striations. Skeletal System is made up of bone and cartilages. The skeletal system is divided into - Axial Skeleton System and Appendicular Skeletal System. Skull consists of 22 bones, out of which 21 bones are fused and one is free. Hyoid and Auditory Ossicles. Hyoid bone holds the trachea so that it can remain open. Auditory ossicles contains the smallest bone that helps in hearing. 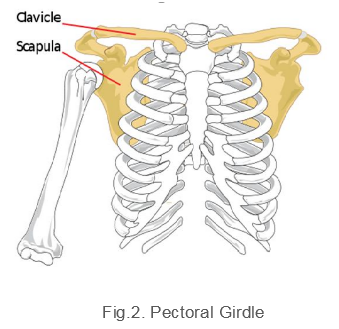 There are 12 pairs of ribs which are attached with sternum and forms a rib cage. Out of these 12 pairs, 8th, 9th and 10th pairs of ribs are not attached with the sternum. These ribs are known as Floating Ribs. 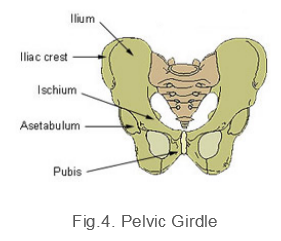 Ilium, Ischium and Pubis are 3 bones of Pelvic Girdle. 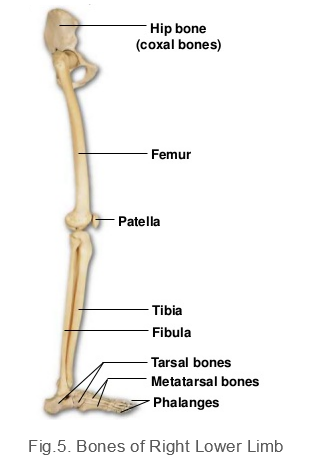 There are 32 bones found in Lower Limb. Cilia is made up of proteins known as microtubules that helps them to move. Ciliary Movement is the rhythmic, sweeping movement of epithelial cell cilia, of ciliate protozoans, or the sculling movement of flagella, effected possibly by the alternate contraction and relaxation of contractile threads (myoids) on one side of the cilium or flagellum. 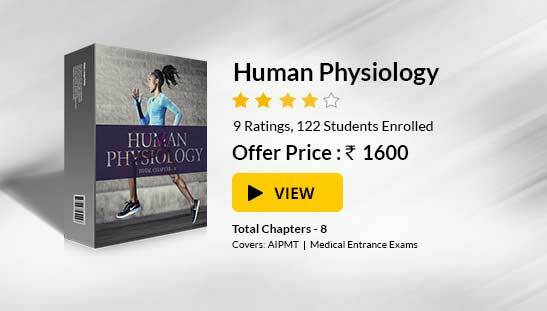 To read more, Buy study materials of Locomotion and Movement comprising study notes, revision notes, video lectures, previous year solved questions etc. Also browse for more study materials on Biology here.